We specialize in Napa Valley Wine Country Tours and our knowledgeable staff and professional chauffeurs help make every single trip one you will never forget. With an ability to customize every Napa Valley excursion to your specific liking we can help you formulate an itinerary to your specific taste and desires. If you are not familiar with the Napa Valley Wine Country we can help make your trip memorable by taking into account your tastes, budget and any other preferences you may have. We will make your trip truly yours. To truly experience the Napa Valley, to see To truly experience the best Napa wine tours Napa Valley has to offer, to see the hidden gems off the beaten path as well as the major must see wineries, This Napa wine tour packages highlights the best wine tours in Napa valley. We offer best wine tours Napa valley private limousine winery tours to everyone from the seasoned Napa Valley veterans to the first time limo wine tour Napa visitors. Our best Napa wine tour private limousine winery tours bring you to as many or as few wineries as you desire. There is no cap on mileage or number of stops on your private wine tours. You have the option of developing your own Napa valley wine country tour with a list of wineries and/or restaurants of your choosing. We also help develop winery tour itineraries free of charge for your best Napa valley winery tours. Our dedicated in-house staff and knowledgeable wine tours limousine drivers are deeply embedded within and knowledgeable about wine tours in Napa and have provided limousine tours for many years. For this reason we consistently and successfully help our clients develop custom wine tour itineraries that reflect the tastes and desires of each individual client or group. With so many different destinations to choose from our expertise help narrow down the choices to wineries we know will not disappoint and will create an incredible winery tour you will never forget with best wine tour Napa. Our professional team of limousine drivers are experienced, knowledgeable and punctual. Their deep knowledge of the Napa Valley and esteemed limousine driving capabilities will help enhance your experience by taking you on direct yet beautiful routes through majestic foothills and serene orchards. We always take the extra step to make your limousine experience a journey and exploration of the Napa Valley that will always be something special and memorable. We guarantee our private winery tours in our luxurious limousines will always be an incredible time. 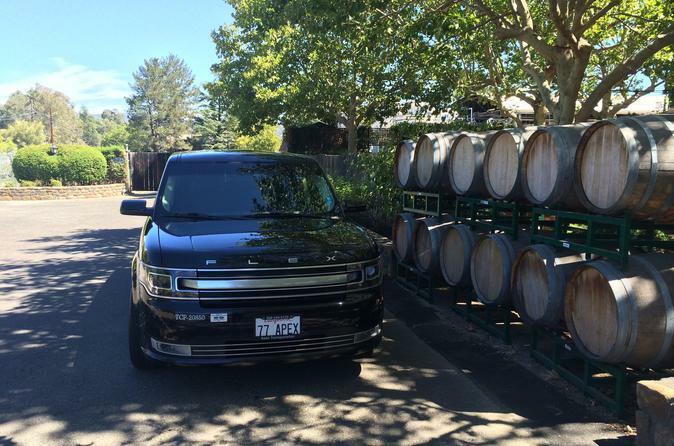 So book your Napa Valley limousine winery tour today!